Tuition time is a productive and cost effective way to encourage and inspire your children to focus on their studies whilst truly understanding what they have learnt. 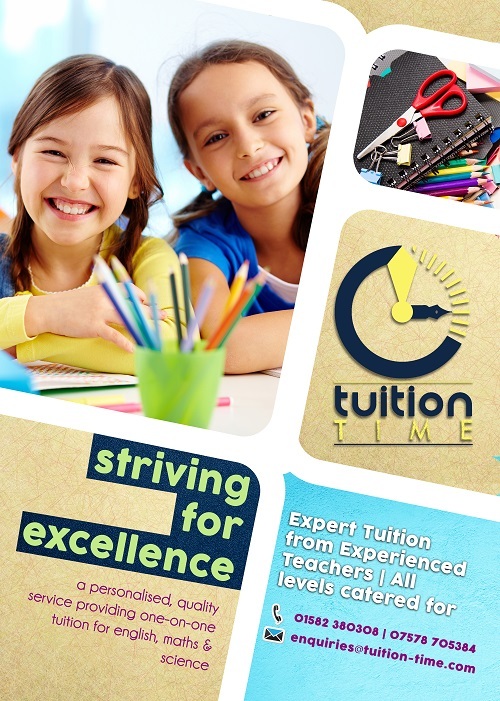 At Tuition time, we aim to provide a flexible approach to cater for each individual need that a student may have. We create individual learning plans by understanding our students’ abilities and focusing in on areas that they need help with. Tuition Time provides help to students of all levels from the age of 9 with their 11+ exams and SATS, GCSEs, A LEVELS and admissions applications. Tuition Time also offers a homework club where we can help students with their homework or any school work they may need further understanding with.